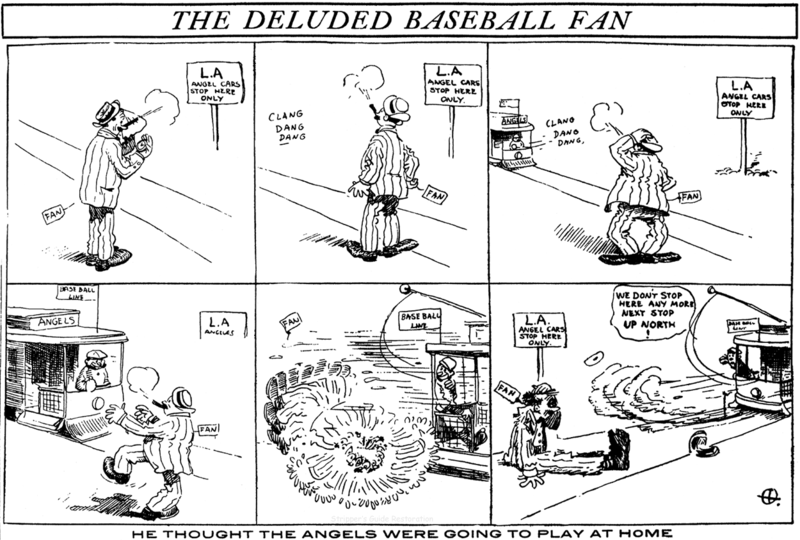 Wednesday, July 15 1908 -- Angel baseball fans continue to carp about their team's schedule, which keeps them on road trips through much of the summer. 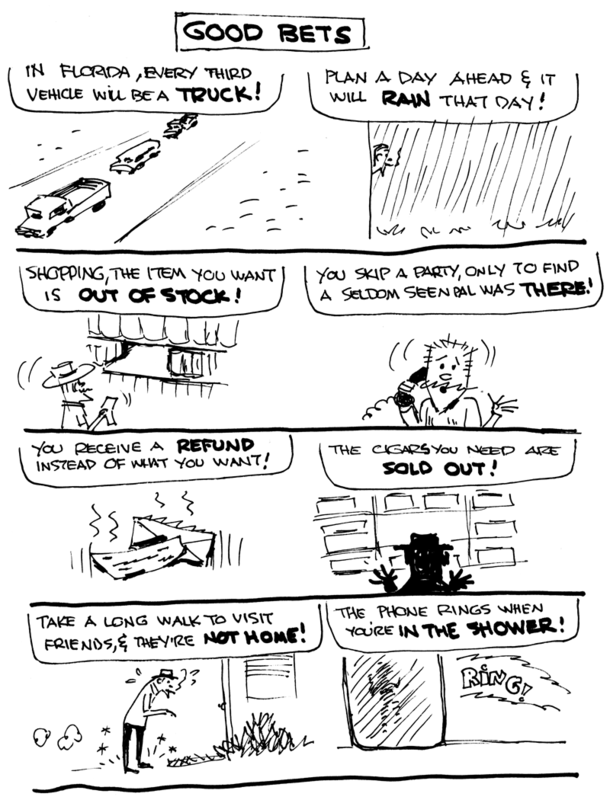 I'm afraid the error may be with your eyes, but not in looking at the old strips. Yes, they are the work of William Glackens ... but that is exactly who is credited in the book. Where's the problem? Ah yes, I see now, my notes from your book say William Glackens. They are credited to Louis Glackens elsewhere, however--including in the Billy Ireland Library's catalog. I've notified them of the error. Sorry about the (I should say my!) confusion! And thanks for your quick reply. Connie, December 27 1936, courtesy of Cole Johnson. Raymond Irving “Ray” Hoppman was born in New Haven, Connecticut on April 6, 1887, according to his World War I and II draft cards. Information about his education and art training has not been found. In the 1900 U.S. Federal Census, he was the youngest of four children born to Frederick and Katharine. His father was a preacher. The family lived in Dunkirk, New York at 57 East 4th Street. Hoppman was listed in the 1904 Dunkirk city directory. At some point, the Hoppman family moved to New Jersey. The 1908 and 1909 Newark city directories listed them at 253 Bergen; Hoppman’s occupation was artist. The 1910 census recorded the Hoppmans in Irvington, New Jersey at 16 Howard Street. Hoppman was a commercial artist. His father was a widower. The 1914 and 1916 city directories said the Hoppmans’ address was 19 Park Avenue. Their address changed again, in 1918, to 614 Nye Avenue. The 1920 directory said they had moved to Nutley, New Jersey. Hoppman was employed at the New York Evening Telegram as early as 1914, when his cartoons were copyrighted by the newspaper in the Catalogue of Copyright Entries, Part 1, Group 2: Pamphlets, etc. 1914, New Series, Volume 11, Numbers 7 and 8. In addition to using his pen for drawing, Hoppman showed he wasn’t at a loss for words when it came to writing. Samples were found in Our Dumb Animals, September 1913, “The Firefly”, and Motion Picture, November 1915. Hoppman was art director for an in-house publication, Hyatt Quiet Type, as reported in the Automobile Trade Journal, March 1, 1916. The Judge, July 21, 1917, reported the fifteenth annual convention of the American Press Humorists at the McAlpin Hotel in New York City. Among the new members elected to the group were Hoppman, Irvin S. Cobb, H.T. Webster and E.A. Bushnell. Hoppman shared his love of birds in The Guide to Nature, June 1917. Hoppman was a contributor to the book, “Long Live the Kaiser”—! (1917). Hoppman signed his undated World War I draft card. He lived at 614 Nye Avenue in Irvington, New Jersey. His occupation was cartoonist at the New York Evening Telegram. His description was 5 feet 10 inches, slender, gray eyes, and light brown hair. In 1919, he married Harriet, according to the 1930 census, and his Famous Fans panel began. Hoppman was a mason at the St. Cecile Lodge in Newark. Hoppman and his wife lived in West Hoboken, New Jersey at 447 Clinton Avenue, as recorded in the 1920 census. He was a newspaper cartoonist who produced a number of comics in this decade including Hank and Pete, Make-A-Comic, and Assorted Nuts. The Medical Pickwick, November 1921, featured verse and art by Hoppman. In 1930 Hoppman lived in Dumont, New Jersey at 100 Randolph Avenue. He was a cartoonist for a trade publication. He produced the strip, Don’t Be Like That! (1935–1937), for the Van Tine Features Syndicate, who held the copyright according to the Catalogue of Copyright Entries, Part 1, Group 2: Pamphlets, etc. 1935 New Series, Volume 32, Number 9. Hoppman signed his World War II draft card on April 25, 1942. According to the card he was self-employed and remained at the same address. Apparently he retired in Florida. Hoppman passed away on May 3, 1974 in Winter Park, Florida, according to the Social Security and Florida Death Indexes. Lawrence Joseph “Larry” Antonette was born in Tacoma, Washington on August 31, 1909, according to the Social Security Death Index and the 1910 U.S. Federal Census. The census recorded him as the only child of Joseph and Florence. They lived in Tacoma, Washington at 4051 South Tacoma Avenue. His father emigrated from Italy and was a grocery salesman. The Antonettes remained at the same address in the 1920 census. Tacoma city directories for 1923 and 1924 show Antonette worked in his father’s grocery store. The 1928 directory listed Antonette as a student. The 1930 census recorded the family at 1912 South M in Tacoma. Antonette was a cartoonist working in advertising. His father was a salesman for a mining company. 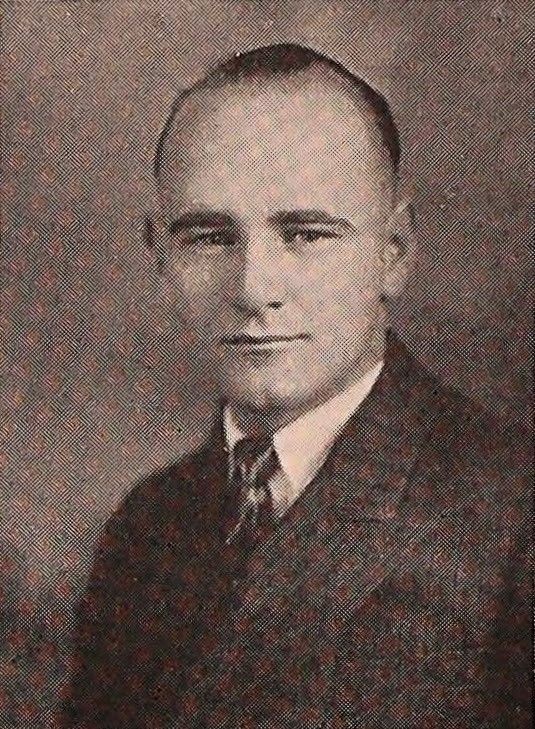 Senior Antonette was pictured several times in the Washington State College 1931 yearbook, The Chinook, where he was on the editorial staff in charge of features. Antonette was a fine arts major; the treasurer of Delta Phi Delta whose purpose was “To promote art in America; to recognize scholarship and foster true friendship.”; and chairman of the Fine Arts Ball. He was a member of the Montezuma and Senate Clubs. Since Antonette’s name was on Van Tine’s Bozo and the Baron, two pseudonyms were used for his strips from Lincoln Features, which was operated by H.T. Elmo. It's not known who came up with the pseudonyms “Bob Dart” and “Dean Carr”; my guess would be Elmo since he was the owner. Another artist, Jack Kirby, drew Facts You Never Knew for Elmo’s syndicate and signed the strip as “Bob Dart”. A few years later, Antonette found work in the comic book industry. He was at the Eisner and Iger Studio then Funnies, Inc. An overview of his comics career can be viewed at Who’s Who of American Comic Books, 1928–1999. Some of his comic book work is identified at the Grand Comics Database. He collaborated with fellow artist Carl Pfeufer; their work was recorded in the Catalog of Copyright Entries, Part 4, Works of Art, etc. 1945 New Series, Volume 40, Number 10. Antonette, Lawrence J. & Pfeufer, Carl T. 11466, 11467Pfeufer, Cart T. :Alfy and Bugs. — Alfy and Bugs. They hit the water. © 1 c. each Oct. 8, 1945 ; G 46256, 46257. Eventually, Antonette returned to Tacoma where he was the director of the Northwest School of Art at 3605 South 52nd Street. The school offered classes in commercial and fine art. A 1949 city directory said he resided at 4025 Sound View. He advertised the school in American Artist magazine. In the 1953 directory Antonette’s occupation was artist. According to a 1956 Renton, Washington city directory, his residence remained Tacoma but he worked in Renton as a writer for “Military Manuals.” In the 1957 Tacoma directory, Antonette was a draftsman at the Western Boat Building. His was an artist in the 1958 listings. Lambiek said Antonette was head of Television Art for the Tacoma Public Schools. Antonette passed away on February 23, 1997 in Tacoma, according to the Social Security Death Index. His wife predeceased him by 22 months. Their Social Security numbers were issued in New York state, so it’s possible they met and married in New York City. They were buried at Calvary Cemetery in Tacoma. Leonard Frank produced the panel, Imaginary Interviews, which was distributed by Van Tine Features Syndicate, who held the copyright. 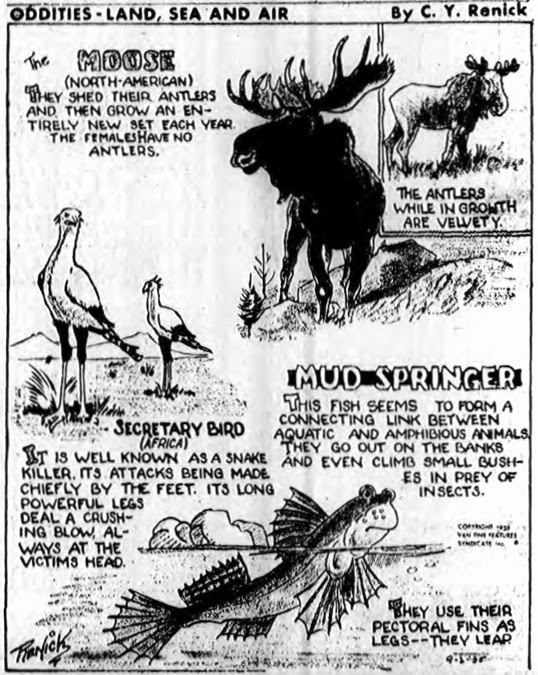 The Van Tine Features comics were announced, with much fanfare, in the West Seattle Herald, (Washington), June 18, 1936, and the Hastings News (New York), January 10, 1936 (below). 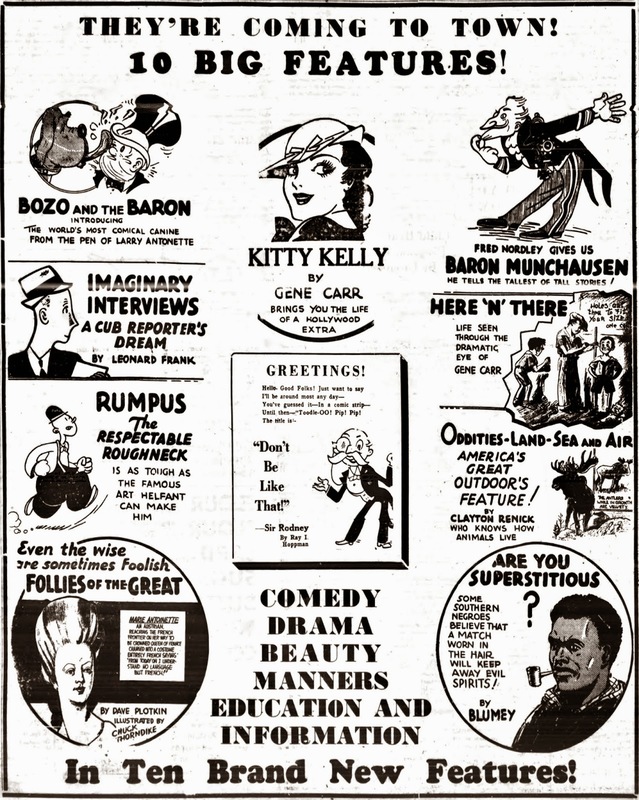 American Newspaper Comics (2012) said the series ended in 1937. Specific information identifying Frank has not been found, but there is information about a person with the same name and skills. The 1940 U.S. Federal Census recorded a “Leonard Frank" in Manhattan, New York City, at 230 Riverside Drive. Born about 1910 in New York, he was an illustrator in the magazine industry. His education included five years of college. His wife, Bernice, was the same age. The New York, New York, Marriage Index, at Ancestry.com, said Frank married Bernice Miller on June 21, 1936. “Leonard Frank” was found in city directories of Plainfield, New Jersey, for the years 1950, 1953, 1955, 1957 and 1960 (not all years are available at Ancestry.com). He and his wife, Bernice, lived at 648 Sherman Avenue. Frank was a commercial artist. The Social Security Death Index has a “Leonard Frank” who was born September 14, 1909 and passed away January 23, 1991, but the location was not given. His Social Security number was issued in New York. Bernice passed away June 30, 1998. Yes. 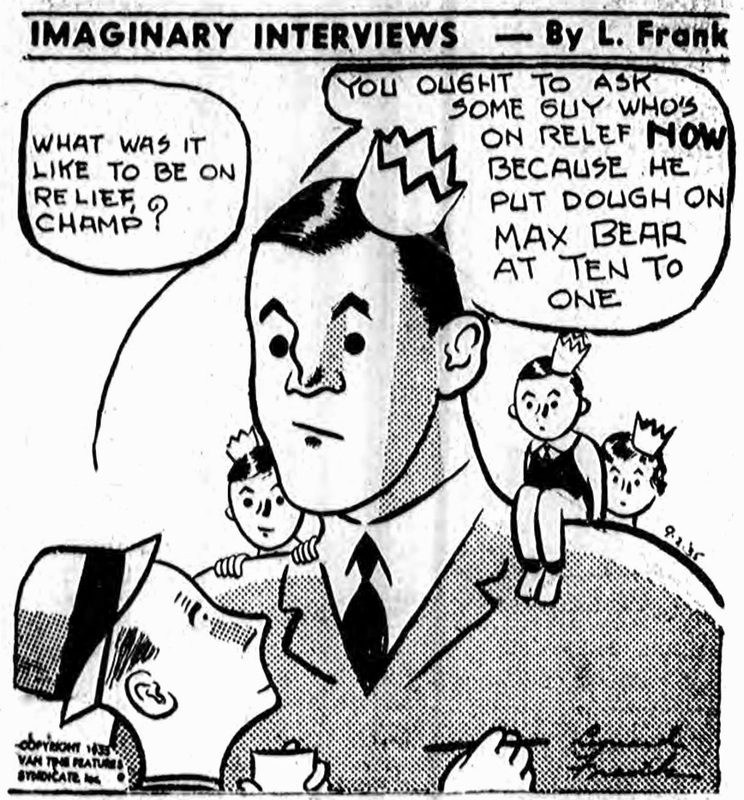 Max "Bear" should be BAER. Clayton Young Renick was born in Texas on July 24, 1909. His birthplace was recorded in the 1910 U.S. Federal Census, and the birth date is from the Social Security Death Index. In the census, he was the youngest of seven children born to Arthur, a farmer, and Eva. They resided in Justice, Texas. A family tree at Ancestry.com said Renick’s mother’s maiden name was Young, and his father passed away in 1917. In the 1920 census, the household was Renick, his mother, two siblings and maternal grandmother. They remained on the farm in Justice. So far, there is no information regarding his education and art training. Renick has yet to be found in the 1930 census, which recorded his mother and a sister in Llano, Texas. According to the 1940 census, Renick and his wife Virginia were residents of New York City in 1935, which was the year his panel, Oddities: Land, Sea and Air, was syndicated by Van Tine Features, which held the copyright. 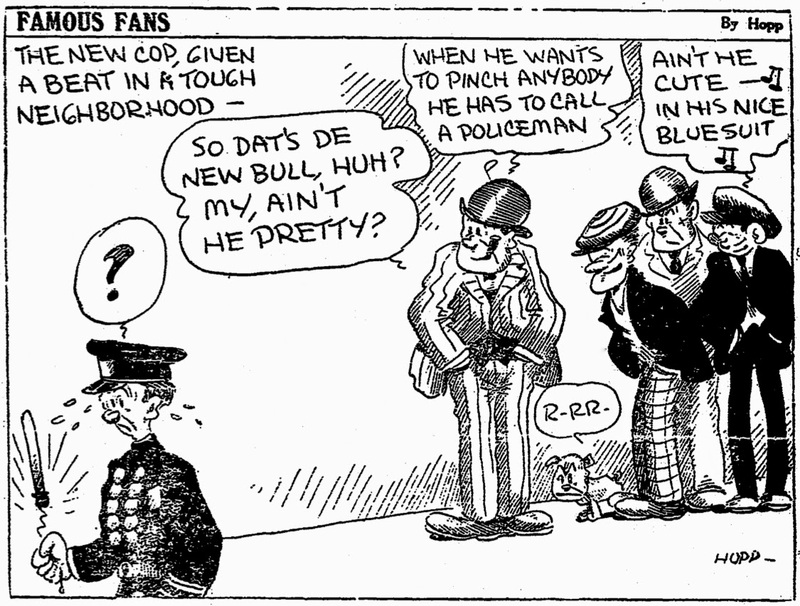 The Wave, (Rockaway Beach, New York), August 15, 1935, began publishing Van Tine Features’ panels and strips. An oddity was the panels and strips were dated “9-2-’35”. The Wave jumped the gun by two weeks. The Van Tine Features comics were announced, with much fanfare, in the West Seattle Herald, (Washington), June 18, 1936 (strips can be seen here, here and here), and the Hastings News (New York), January 10, 1936 (below). 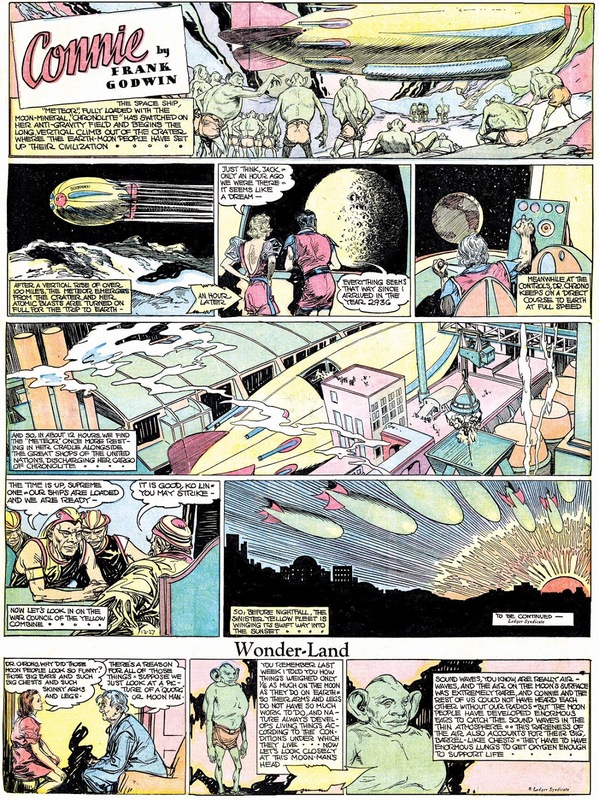 According to American Newspaper Comics (2012), Oddities ended in 1937. In 1940, Renick and his wife resided in Phoenix, Arizona, at 1138 East Taylor Street. Renick was married to the granddaughter of Elisabeth Hughes, the head of the household. Renick, who had two years of college, was a traveling salesman of wholesale dry goods. Later that year he started the Clayton Y. Renick School of Art and advertised in the Arizona Independent Republic. The 1941 Phoenix city directory had the same census address. The 1945 listing was: “Renick Clayton Y (Virginia emp AiResearch h S 10th st nr Southern rt 12 bx 458c”. In the 1950s, Renick remained in Phoenix. The 1951 directory said Renick, an architect at Universal Realty, resided at 6050 S. 10th Street. The 1956 and 1957 listings had the home address as 6051 S. 10th Street and Renick’s occupation as draftsman at Lescher & Mahoney. Renick’s mother passed away in 1958. Renick passed away in February 1987 according to the Social Security Death Index. His last residence was in Glendale, Arizona.